You’re looking into renovating your home, which can be an exhilarating and nerve-racking project. In order to create the space you want, you’ll have to manage contractors, design elements, timelines, insurance, and cost. Let us help take some of that stress away. We can drive your kitchen and washroom renovations so that it’s done the way you want and on time. Why is Important to Deal with Plumbing During Renovations? It’s unfortunate, but many homeowners forget to consider plumbing when renovating. They get caught up in the aesthetics, focusing on the things you can see. A renovation is a perfect time to consider your pipes, even if it’s just preventative maintenance. Your walls and floor will be open, and what’s behind them will be exposed. It’ll be much easier for a professional from Dr. 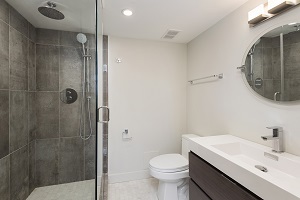 Pipe Drain and Plumbing Services to rework the plumbing in your washroom and kitchen space. A plumber should be involved in your renovations. It’s best to call a plumber if you have experienced leaks, clogs, flooding or your flooring looks a little off. Houses with older plumbing may not be able to manage the demands of bathroom upgrades, like an additional half bath. Using a licensed plumber to install these fixtures correctly will give them a long life. Our certified team of plumbing experts is happy to walk you through the full project from beginning to end. We can advise you through the design process. Our activities will be coordinated to ensure as smooth of a renovation process as possible. In the end, you’ll have a beautiful, functional bathroom that lasts for years. Why choose us for plumbing renovation services? Whenever we work, we respect your home as if it’s our own. This also means respecting your time. We work with you from the first call all the way to the final inspection. Our team keeps work areas neat and contained during the project because you shouldn’t have to clean up after us. We also coordinate with your other contractors to move the project forward efficiently. Dealing with the insurance company can add more stress on our customers. Our professional staff will work to help meet the insurance company’s requirements. We’re also very familiar with the valuable rebates offered by the City of Ottawa, which may reimburse you for renovation costs. These benefits are easier to access when working with a company like Dr. Pipe Drain and Plumbing Services. We always give high-quality work complemented by the best customer service. Look at the testimonials given by our customers. Then call us for a no-obligation quote and experience us yourselves. What can you expect from Dr.Pipe Drain and Plumbing Services Installation Team? When you call us we’ll have a quick interview so you can let us know just what your needs are. Once we’ve gone over what you want we can put together a free, no-obligation quote so there are no surprises. Take all necessary measurements before any work starts, then measure again to make sure we got it right. Provide you with samples so you can see how things will work before we start. Don’t worry about running from store to store trying to find the right materials or colours. We’ll do the legwork based on your input and then you decide what you want. Obtain whatever city permits and insurance approvals you may need. Make a plan with any other contractors you’re working with to ensure everyone’s on the same page. This helps the work to be completed in a timely manner. Double check your order to make sure nothing is missed, and it was completed right the first time. Perform the installation and clean up everything afterward. Ensure you how to maintain your new plumbing, as well as offer any warranty information that may apply. Verify all our work is up to City of Ottawa plumbing standards. Our customers love us, and our work is the best quality. Stop by our testimonials page, and then give us a call to for a free, no-obligation quote for plumbing renovation in Ottawa.